John Alpay, a resident of San Clemente, served as Area 3 Trustee for the Capistrano Unified School District, the ninth largest school district in California from November 2010 until 2016. He previously served as a Parks & Recreation Commissioner for San Clemente, and on the Budget & Finance Committee for Talega, his 3200 unit homeowners association. He remains as a director for the Spanish Village Foundation, a local nonprofit. John is also involved with the San Clemente Sunrise Rotary and the Hawaiian Surf Club of San Onofre. He and his wife Rochelle have three children together. Kemal Bozkurt serves as the Acting Director of the Lawrence Public Library in Lawrence, MA. He is currently running to serve on the Lawrence School Committee, a position he previously held in 2015. Bozkurt has lived in Lawrence, MA for the past 17 years. He is a loving husband and father to three children. Esin Busche previously served as Naperville Township Trustee, a member of the Fair Housing Advisory Commission, and a Republican Precinct committeewoman in Naperville, IL. She has also served as membership chairman for the Naperville Republican Women for three terms and was the Naperville campaign coordinator for the presidential and governor/lieutenant governor races in 2004 and 2006. Esin has a M.A. in Chemistry works for the Dow Chemical Company. She currently lives on the south side of Naperville Township with her husband and son. 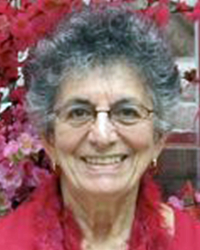 Hacibey ‘Haci’ Catalbasoglu was elected as an Independent in the November 7, 2017 general election to the Board of Alders for Ward 1 in New Haven, Connecticut. 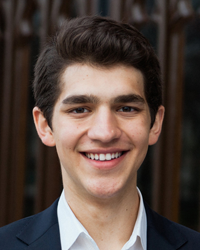 Haci is 19 years old and a junior at Yale University. He is the youngest Turkish American to ever run and be elected to public office. He is also one of the youngest Alders to ever serve on the Board of Alders in New Haven. In 2017, he was nominated to serve on the city’s Commission on Homelessness after many years of volunteering and advocacy for the New Haven Livable City Initiative through New Haven’s Youth@Work program. He was recommended for confirmation to the Commission by a unanimous vote of the Board of Alders’ Aldermanic Affairs Committee on April 24, 2017. As a member of the Commission, Haci is tasked with advising New Haven Mayor Toni Harp on how to actively combat the homelessness epidemic in New Haven. In the summer of 2016, he had the opportunity to intern for U.S. Senator Chris Murphy (D-CT). Judge Jay (Ceyhun) Karahan was elected to judicial office in November 2002 and was sworn in as Judge of Harris County Criminal Court-at-Law No. 8 on January 1, 2003. He was re-elected to that office 3 more times and served until December 31, 2018, when he retired from active judicial service. Judge Karahan is a native of Tampa, Florida. Judge Karahan moved to Texas in 1979 to study law at South Texas College of Law. In 1987, the U.S. Attorney General appointed him an Assistant United States Attorney for the Southern District of Texas. As a federal prosecutor he served in the Major Offender Division, Bank Fraud Task Force, and as a district coordinator for child exploitation investigations and prosecutions. As both a state and federal prosecutor Judge Karahan tried to jury verdict over 100 serious felony cases. He is licensed to practice before the Texas Supreme Court, the U.S. District Court for the Southern District of Texas, and U.S. Court of Appeals for the Fifth Judicial Circuit. Since 1988 Judge Karahan has been certified by the Texas Board of Legal Specialization as a Criminal Law Specialist. Judge Ali Paksoy serves as a district court judge for the 27B Judicial District of North Carolina, which presides over Cleveland and Lincoln countries. Judge Paksoy received his undergraduate degree from the University of North Carolina at Chapel Hill and his J.D. from the University of Alabama. Turkish American Tayfun Selen of Chatham, New Jersey was elected on January 3, 2019 as the mayor of Chatham Township in the state of New Jersey, becoming the first Turkish American to hold such a position in the United States. In Chatham, by law, the public elects the municipal committee of three to five members, and the committee determines the mayor. Previously, Selen was elected as the Republican candidate to fill a vacant seat on the Chatham Township Committee in the November 7, 2017 elections. He served the remaining two years of Committee member John Maurer’s term. Maurer, a Republican, resigned his seat in late August. Selen is Chairman of the Chatham Township Republican Committee and previously ran for New Jersey State Assembly in 2013 and 2015. Selen is an architect, accountant, and businessman who serves on the Advisory Board for Montclair State University’s School of Business. He previously held a seat on his local Board of Adjustment. Selen holds a Bachelors of Science degree in Architecture from Istanbul Technical University and an MBA from Montclair State University in New Jersey. Malik Tunador ran and won a seat on the Council of the Thornburg Borough of Allegheny County, PA in the early 1990s. Tunador has been living in Thornburg Borough since 1976 and served one term on the Borough Council. 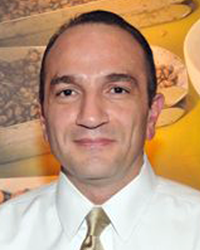 Dr. Erdem Ural was elected in to the Stoughton School Committee in Stoughton, Massachusetts in 2008. He served in that position from 2008 to 2011. In 2012, Ural was re-elected to the School Committee, serving until 2015. Dr. Ural holds a Ph.D. in Aerospace Engineering from the University of Michigan. He has resided in Stoughton for over 30 years and is married with 2 children. Sel E. Yackley of Chicago, IL was elected to the Illinois Valley Community College Board of Directors from 1987-1997, in which she received the highest votes in a seven-county election. Previously she was elected to the Illinois Valley Community College Board of Directors in Ottawa, IL from 1976-1987. Sel is a published author, business owner, and skilled fundraiser. She remains active in her community as a volunteer for the Lyric Opera of Chicago and is an active member of various societies and associations. Currently, Sel runs her own public relations agency and travel agency. Mehmet "Matt" Yar was elected to the Bloomfield County Education Board in New Jersey in 1998 and served until 2001. He chose not to run for a second term. When another board member resigned in 2002, Yar was appointed by the local election committee to fill the vacated seat. His second period of service on the board lasted until 2004.